Salvation And Survival: "Birth Tourism" vs Illegal Immigration: What's The Difference? "Birth Tourism" vs Illegal Immigration: What's The Difference? 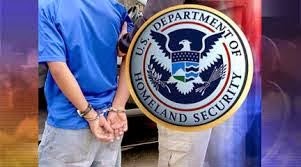 Does anyone else see the irony in the latest actions of the Department of Homeland Security? Earlier this week DHS made a big show of sweeping raids on organizations that allegedly enable foreign women to pay to obtain U.S. visas under false pretenses; all for the intention of giving birth, so their child automatically receives U.S. citizenship. Follow me in my thought processes ... First of all, let's be clear -- it is not technically illegal to come to the U.S. to give birth. (The ethical or moral entitlement to that right is up for debate). The problem that DHS has is that the visas were allegedly obtained "under false pretenses", right? NPR reports that Claude Arnold is the lead investigator for U.S. Immigration and Customs Enforcement (ICE). He says the agency is looking at three organizations that advertise online to wealthy Chinese women who may want to give birth in the U.S.
"[The organizations] facilitate their travel," said Arnold. "They make arrangements for lodgings here, their medical care, etc. So that [their clients] can have children born here as United States citizens." In affidavits filed for search warrants, federal authorities said that the businesses charged women up to $60,000 for coaching, facilitating travel to the U.S., lodging, hospital expenses, even nanny support. Did you note the careful wording? These women are being "coached" to lie in order to enter the U.S. to receive citizenship for their children. Now consider a report by a Rio Grande Valley TV station in Texas, plus this investigative article on The Blaze ... Border patrol agents along the Texas border have been finding alleged "cheat sheets" being used by apprehended illegal immigrants attempting to stay in the country and avoid deportation. Supposedly, the "rehearsed answers" are common among a large majority of the illegals and are supplied by the human traffickers who charge from $5,000 to $8,000 to ensure passage into the country. Why did you abandon your country? Do you have family in the United States? Where does your father live? • I don't know him, or even his name. The bottom line is that many who cross the border use the “credible fear” claim, saying they are afraid to return home, and knowing that they will obtain a notice to appear in immigration court to appeal to stay in the country. And you guessed it ... they never show for the court date. This is just one more example of a conflated plan to send a message to immigrants that the border is wide open. In fact, the incredible surge of immigrants over the last two years or so, appears to be from a perception that there was a ‘new’ U.S. ‘law’ that grants a ‘free pass’ or permit (referred to as “permisos”) being issued by the U.S. government to female adult other-than-Mexicans traveling with minors and unaccompanied children. And why wouldn't they think that, given this statement by Homeland Security Secretary Jeh Johnson: "Almost all agree that a child who crossed the border illegally with their parents, or in search of a father or a better life, was not making an adult choice to break our laws, and should be treated differently than adult violators of the law." This is a direct quote attributed to Secretary Johnson in a story about a new two-year extension of the Deferred Action for Childhood Arrivals policy published by Diario El Mundo in El Salvador. (As reported by the website Hot Air in 2014). But let me ask you this ... isn't the very perception put forth by the Secretary of the DHS illegal? How is the "coaching" on how to answer Border Patrol agents any different than the "coaching" that the "birth tourism" moms received? And weren't the influx of immigrant children lured here under "false pretenses"? Furthermore, the "birth tourism" industry allegedly promises medical care, lodging and other amenities. What about illegal immigrants receiving drivers licenses, Medicaid, and other free entitlements --- all paid by American taxpayers! So, I guess I'm just a little confused ... Why is it such a transgression against U.S. law for the wealthy "Birth tourism moms"; and their actions are labeled "illegal"; yet the DHS turns a blind eye towards thousands of immigrant children who cross the Southern border illegally; and they are granted amnesty? Does it feel like a shell game to anyone else? I heard several years ago that some Europeans find it cheaper to buy a plane ticket to America to get free medical in an ER, than to pay for health care in their own country. The anchor baby thing is wrong, but as long as we have a majority of evil lawmakers, we will have this, as well as many other problems.